The HEUG Institutional Membership will give all members of your institution’s project team access to the enhanced communication, collaboration and learning benefits from the Higher Education User Group. The fees are determined based on the Student Full-Time Equivalent (FTE) count for your institution. 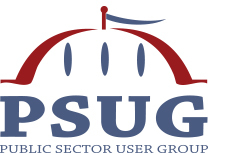 The HEUG Institutional Membership will help your implementation, upgrade or maintenance teams tap into the knowledge of over 30,000 HEUG members to help them make the most of your Oracle applications! Institutional Members will have access to the HEUG.Online and ALL of the communication tools available in our extensive online membership community. Institutional Members will be able to attend the Alliance Conference at the reduced member rate. Institutional Members will be eligible to serve on the AGs or HEUG Board. Institutional Members and all of their employees will be able to attend the monthly HEUG Education Series webinars at no charge. Membership fees will be tiered based on the Student Full-Time Equivalent (FTE) count for the institution and will give membership benefits to all employees of the institution. For institutions that are part of a multi-campus system, we offer discounts on fees for all campuses. *Cost with membership includes institutional membership fee of $800. **Cost with membership includes institutional membership fee of $1,600. ***Cost with membership includes institutional membership fee of $2,400. Conference rate: $795 non-member, $695 member.